How should I go about enrolling in for B.Sc Face to Face session ? Who all can attend face to face counselling session for B.Sc ? Do you have EMI options for pricing package on face to face session for B.Sc ? Do I have to book prior appointment for face to face session for B.Sc students ? What’s the duration for session for face to face for B.Sc students ? Can I upgrade my plan to mentorship plan for B.Sc students after my face to face session ? 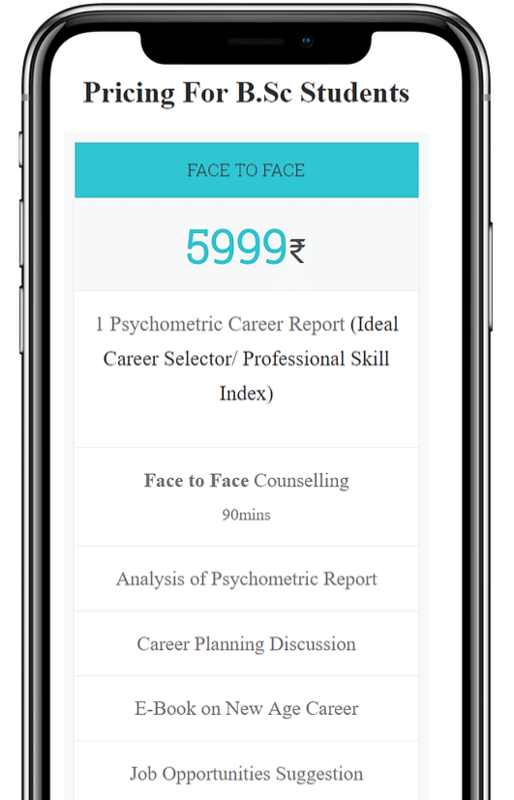 Do you offer discounts for meritorious students of B.Sc on your face to face session ?